Ishibashi Dental (New York) - Book Appointment Online! Dr. Ishibashi is a second generation dentist who grew up in her father’s next-door dental office. She decided to follow her father’s steps because she loved the connections her father developed with his patients over the years and even decades of working together. She loved the way his office became not only part of their healthy smiles, but their lives as well. Probably my favorite dental cleaning of experience so far. 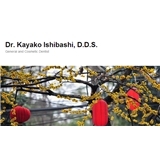 Dr. Ishibashi and her assistant are both very courteous and professional. Will definitely recommend to all my family and friends in the area!